The first week of May was packed with market-moving events for Forex traders: FOMC meeting, the ECB meeting and the Non-farm payroll. We’ve seen more proactive comments from the central bank officials and better job reports, but really, has the underlying course of the economy changed? The ECB has lowered the benchmark interest rate to an all-time low of 0.50%for the first time in 10 months. Draghi went above and beyond market expectations, saying that they are technically ready for “negative rates”. In other words, banks are charged if they deposit money with the ECB – a measure that the central banks use to spur up the lending activities in the currency bloc. But, everything is only in the words, not in any concrete policies. It is becoming more evident that the ECB president has learnt the art of “talking” from the Fed’s chief Ben Bernanke. Yes, the ECB has a tradition of preparing the market for major policy changes in a bid to minimise market reactions. But is it appropriate to see Draghi’s comments as a precursor for more accommodating policies? What are the odds of negative rates actually being implemented? Denmark has used negative rates for nearly a year to defend the influx of hot money due to its AAA rating. But really, it might just be unrealistic, or at least not the best move for the ECB to enter the “unknown territory” of negative rates right now. 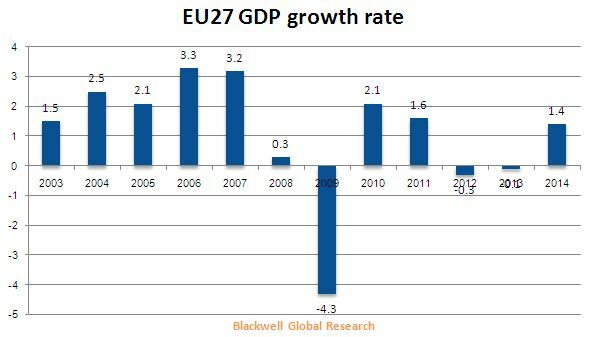 The eurozone does not have an AAA rating to withstand the negative effects of negative rates in the first place. Negative rates will eventually drag down the value of the Euro, and will damage the existing fragile banking system in the EU. All in all, the question is, will the negative rates actually serve its purpose of increasing lending activities? And maybe, when Draghi says that “the ECB has an open mind on negative deposit rates,” he just means that the ECB has an open mind on ALL options. So can we expect negative rates in reality in the near term? Probably not. But verbal intervention seems more likely. When you can talk it down, why risk implementing a negative rate? 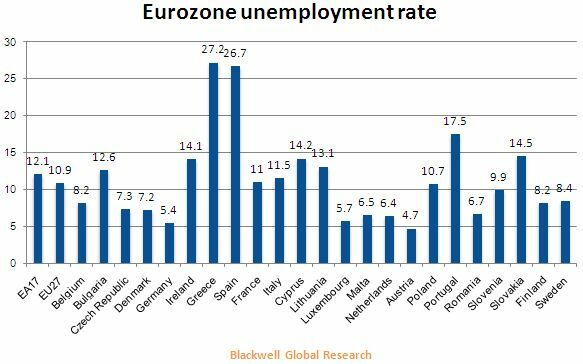 The easy conclusion is: the European Central Bank will definitely cut interest rates. Either in the form of an actual cut or, at least “verbal intervention” will be employed. Just like Draghi’s speech in Rome on Monday, where he insisted that the central bank would watch data closely and be prepared to act again. Remember, he fired his bazooka in July last year, issued his famous to do “whatever it takes” to support the euro. What about the Fed? What about the Bank of Japan? We just saw the Reserve Bank of Australia joining the currency debasement club for the first time in 12 months. With all the global liquidity pluming into the system, capitals are flowing into the eurozone. 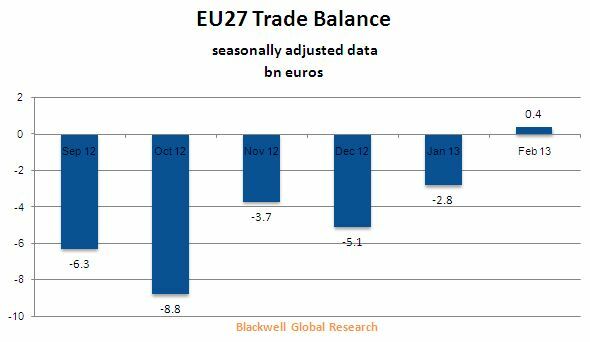 There is no way that the ECB will watch its trade balance runs into deficit again. 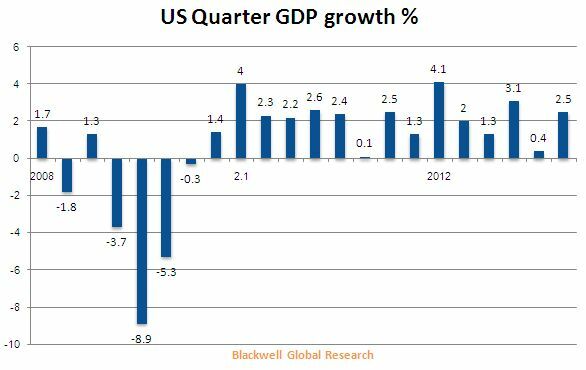 Will the Fed change its course in easing? One of the thresholds that the Fed looks out for – the non-farm payroll added 165k surprisingly in April; even March’s dismal 88k job increase was revised up to 138k. Reinforcing the case that investors should not look too much into the initial release of the jobless reports as they are out of the range 42% of the time. Yes, it is positive for the greenback and hence adds further pressure on the euro. But will this payroll report change the Fed’s mind? The jobs created are more in part-time positions, and aggregate wages declined 0.30% in April. Inflation still sits below the Fed’s target of 2.5%. But all in all, there is no rush for Bernanke to stop buying $85bn treasuries per month, which translates to more pressure back onto the ECB to talk the euro down.